Opiate addiction is a serious problem that plagues many people living in the United States. Opiates are a class of drugs that include heroin, as well as many prescription drugs, such as Vicodin and OxyContin. In recent years, addiction to opiates has surged. Many individuals may find themselves addicted to the drugs after receiving a prescription for one, or may buy or steal prescription opiates from patients who legitimately need them. Opiate use is very dangerous because of how addictive the drugs are, and overdose from opiates or interactions between them and other drugs, like alcohol, can often be fatal. One drug that may offer assistance and relief to the many people suffering from opiate addiction is called Buprenorphine. Buprenorphine is administered in the form of a skin patch worn by the patient. The drug acts as a narcotic analgesic, or pain killer. 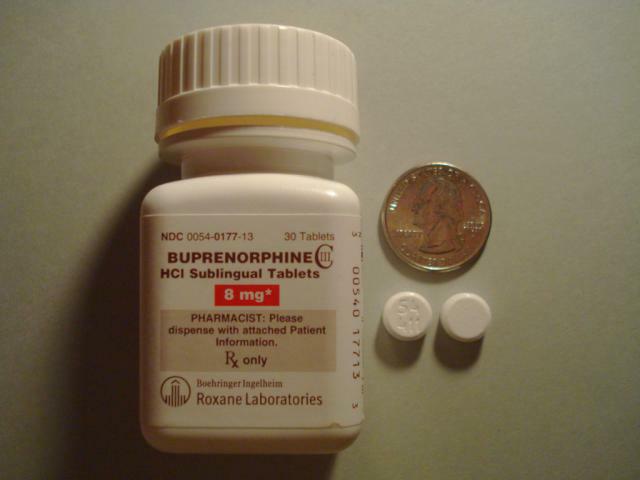 Some patients may receive buprenorphine as a medication for pain relief that occurs occasionally. Other patients, however, may find that their physicians use the drug to treat addiction with supervision at drug rehabs. Buprenorphine has been approved for treatment of addiction since 2000. It seems that particularly when paired with a drug called Naloxone, Buprenorphine may be highly effective in stemming instances of cravings in addicts. The drugs are sometimes paired together and distributed in the form of a tablet. Buprenorphine on its own, as well as Buprenorphine when paired when Naloxone, has been shown to work on the same receptors in the brain that respond to heroin and other opiates. By affecting these receptors, Buprenorphine helps drastically lower cravings, impulses to use, and withdrawal symptoms, which are triggered when the brain does not receive the “reward” of the substance it has become dependant on. It also stops the brain from getting high from opiates, which greatly aids in patients’ attempts to cease use. One major benefit of Buprenorphine is that it can be administered by a patient to themselves in the comfort of their own home. This means that a doctor’s visit is not necessary, which may help encourage patients to take it when necessary. It is very easy to take. A recovering addict may simply place a tablet of the drug under their tongue and allow it to dissolve. A side effect of heroin addiction is often an increased risk of contracting HIV. Many people who are addicted to heroin use the drug intravenously and may use needles that have been used by other addicts. One of the ways that HIV can be passed from person to person is through intravenous drug abuse. As less addicts abuse heroin, less people may be subjected to HIV. Drugs like Buprenorphine are effective because they help address the neurological aspect of addiction. When a person is dependent on a substance, their brain becomes singularly focused on constantly receiving more and more of that substance. The brain’s reward receptors become so accustomed to receiving a drug that it starts to send off uncomfortable and even dangerous withdrawal symptoms when it does not receive the drug. While drugs like Buprenorphine help address the neurological aspect of chemical dependency, addicts must also work with mental health care professionals and other addiction specialists to begin to free themselves from the binds of addiction. Addiction is a very complex disease, and overcoming it means addressing the deep seated psychological issues that led to addiction and that stemmed from being chemically dependent. With the right help, and a willingness to work through a treatment program any addict can begin to lead a healthy, drug free life.